Marketing KPIs should form the basis of marketing strategy and marketing activities. Marketing KPI’s (Marketing key performance indicators) are an essential part of tracking your marketing investment. Like other forms of investments in a company, you need to understand where your time and money are going and what you are getting out of it. In manufacturing, we know if there is a process not performing well performing because we have benchmarks to compare it against. Those KPIs tell the story, and we know if they are not performing well. Marketing and sales should be thought of in a similar way to manufacturing processes. As money and time are invested in the activity, there are certain benchmarks that we should be able to hit along the way. If we are not hitting these benchmarks, there is something wrong with a part of the system that we need to review and revise. This is where marketing KPIs come into play. Too often, marketing managers or business owners spend money on marketing because the process of spending makes them feel they are doing their job. Spending $10,000 on radio marketing can make you feel like you’re doing a lot, especially when you can hear your ad play; however, the reality is you are investing in a medium that is difficult to track and measure on its own. Incorporated into an integrated strategy, this marking can work, especially when you have marketing KPIs to help determine the campaign’s effectiveness. Here are 9 marketing KPIs that are essential in monitoring the overall effectiveness of the marketing functions in your business. A website is often the most valuable piece of advertising your own. This is the first metric listed because it is the easiest to measure the true added value for both online and offline activities to the enhancement of your company. How many people saw your newspaper ad or radio ad? But it is easy to tell how many people saw your website. We know that 94% of B2B purchasers and 81% of consumers (B2C) research online before making a purchase. That means that even if they hear or see your ad, they are looking you up online. A big offline campaign should correlate with a rise in unique visitors if you’re doing your offline advertising correctly. Ultimately, unique website visitors is the best measure of your online marketing activities. This will give you the best opportunity to present them with information about your business, capture their interest, and translate that into future customers. This is one of the highest funnel marketing KPIs you’ll track. How much does it cost you to bring in a lead from your marketing? Leads are when you turn relative strangers into known contacts. From known contacts, you can continue to qualify and gather more information about them to see if they are a potential customer. This is the first step into seeing how your marketing is performing beyond simple reach, like the above mentioned unique website visitors. Breaking down your cost per lead can tell where your awareness level marketing is most effective. For instance, if you have an offline campaign, you can create a vanity URL specifically for this campaign and measure the leads generated through it. In addition, if you notice SEO (organic search) is a low-cost source of leads when compared to PPC advertising, you will want to adjust your strategy by either increasing your investment in SEO or determining why PPC isn’t performing at a high level. we are not communicating the value well enough through our landing page/form. Form conversion rates usually lend themselves well to the A/B method of testing. We can test two different types of copy and see which performs best, or we can change the layout to make it more visually appealing. Either way, we know that if one of our forms is not performing to the level we require, we can test it until we get the results we want and expect. Now that you have leads, the next step is to determine whether those known leads are marketing qualified leads (MQLs). MQLs are leads that have met all the requirements of an attractive customer. This will vary based on the business and industry, but the methodology is the same. You want to create a benchmark that tells you information about how effective you are at transitioning leads to MQLs, including the cost-effectiveness. The rate of attaining MQLs will differ across businesses. This is why it is important to track metrics like this over time so you can see how you are performing against yourself. Adapting or changing the definition of an MQL might be necessary if the measures are too loose or too strict. Sales qualified leads (SQLs) are simply MQLs that have the intent to make a purchase. Marketing should be able to hand these leads over to the sales team on a silver platter for closing and converting to customers. They are the most attractive of all leads. If you are having trouble converting MQLs to SQLs, then you may need to do a better job of qualifying during the process. This can be a measure with many possible variables. If you are not generating SQLs at a high enough rate, it may be a sign that the offers and lead nurturing provided by the marketing team are missing the target or that you’re attracting the wrong type of lead at the awareness stage. Additionally, information gathered during this process may not be enough to sales-qualify them. 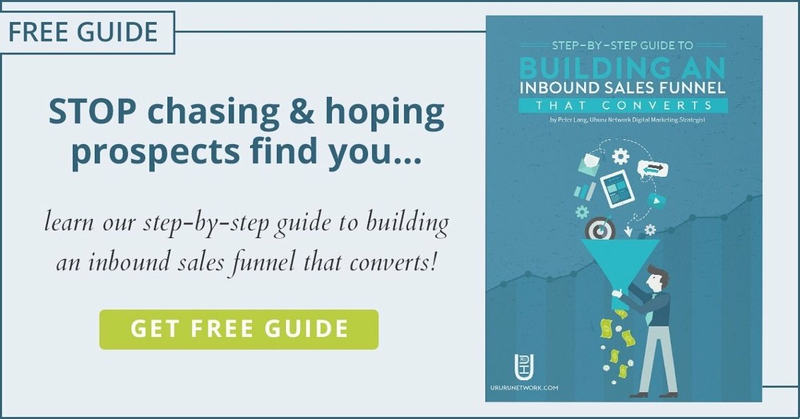 This is a mid- to lower-level funnel measure that is crucial to keep an eye on to make sure your business is getting a steady stream of qualified leads. Determining the cost per SQL requires you to make some assumptions about your top level marketing spending. Broad-based spending (such as TV ads) make it difficult to determine where a lead originated from and where that cost should be allocated. Online methods make it easier to see how a lead was acquired. It may seem like a no-brainer to take all of your advertising costs and spread them over all SQLs but how would you know where your most effective channels are coming from? Understanding where your costs are allocated and the SQLs generated from those costs is essential in developing any future marketing plans. The conversion of leads (SQLs, MQLs, or other) into customers is the driving force behind business growth. Business simply will not grow if they are not attracting new customers into the pipeline – even if customer retention is 100%! Closing effectiveness can be impacted by a number of things including lead quality, the desirability of the products/services of the business, pricing competitiveness, and the reputation of your business. From here, you can begin to test and see if there is movement in your close rate. Did a new offering from your business significantly impact the closing rate? Was the sales training of staff beneficial? Is marketing doing a better job of attracting and qualifying the right type of lead? These factors are all influenceable by a simple measure of your ability to turn qualified leads into customers. While this is often considered a “sales” KPI, marketing plays a significant role leading up this point which is why we include it in our list marketing KPIs. Acquiring new customers is less cost effective and more time consuming than retaining old customers. High customer retention tells you that you are delivering greater value than they can find elsewhere and that they are highly satisfied with your offering. This is a tremendous measure because it measures the value communicated and delivered throughout the organization. When you can keep customers, you can achieve a higher customer lifetime value. When this happens, it increases the value of the customer you are acquiring and allows you to spend more to acquire the type of customer that is the best fit for your organization. Marketing Return on Investment is one of my favorite marketing KPIs because it can be a tricky explanation for such a simple measure. Traditionally, ROI is measured by (Return – Investment) / Investment. However, when we apply this to marketing, we tend to focus in on marketing as a one-time expense and not as an investment as we do for machinery. Marketing may have variable returns over time (unlike a piece of machinery) but that does not mean that we should not think of it the same way. Customer lifetime value and brand value may not have immediate impacts in a measurable way, but they are something that should be taken into account when evaluating your ROI. These marketing KPIs are not the only indicators you should be tracking. Every business needs to map key performance indicators to the marketing strategy they employ. Otherwise, you’ll end up with a long list of numbers but not much value. Do you have any favorite marketing KPIs you use to track the performance of your marketing?